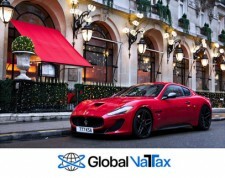 Global VaTax increases your bottom line with the fastest VAT Refund & Tax Recovery for International Business Expenses. New York, New York, October 19, 2017	(Newswire.com) - Companies doing business in the USA are entitled to a VAT refund by recovering European Sales Tax or VAT (Value Added Tax), as it is more commonly known in Europe and the UK. This European VAT Tax can account for as much as 25 percent of the cost of doing business in Europe. Some examples of expenses where the VAT tax is charged on business expenses is hotels, conferences, exhibitions, restaurants, training courses, professional fees as well as most other business services. This is different to the United States tax system as the United States Government does not refund sales tax to foreign visitors. A European VAT refund is offered to companies outside of Europe in order to encourage doing business in Europe. Each country has its own requirements and regulations for filing a VAT refund claim, and the forms and correspondence must be done in its local language. VAT rates differ from country to country, and expense type. This is better explained by the following example. A business traveler attends a three-day event in London, and incurs expenses such as conference fees, hotels, restaurant meals and the total cost of these expenses is GBP 12,000. The VAT tax will be charged at a rate of 20 percent, and is included in the expense invoice. The amount which may be reclaimed will be GBP 2,000 (USD 2,750). Your company would apply for a £2,000 VAT refund with the UK tax authorities and after conversion, the UK VAT refund would be $2,750. It is best practice to outsource this specialized work to a professional VAT reclaim company, such as Global VaTax, who makes it convenient for companies to collect their VAT refunds. Global VaTax, a company which specializes in European VAT refund recovery has a fully operational office in New York City and assists companies in recovering these foreign VAT taxes. Global VaTax has streamlined and simplified the process, including their VaTax Cloud service, which makes reclaiming the VAT very simple and hassle-free for American companies. They have the expertise and compliant processes and procedures to manage companies' claims for prompt and maximized refunds. Global VaTax can assist with corporate VAT refund requirements and can assist in structuring an organization’s financial and operational processes for on-going VAT refunds. There are no upfront fees, Global VaTax just keeps a small percentage of a successful European VAT refund. It is best to start the process as soon as possible, as there are government deadlines for European VAT refunds. Currently, the deadline on Dec. 31 (2017) for reclaiming UK VAT for invoices dated from July 2016 – June 2017 is approaching. Some examples of general VAT rates that are charged in various European countries as of Jan. 1, 2017. Sign up for email updates from Global Vatax LLC.